hello bro, you think you could support out our blog? we just started and we want people to see what we have here in vegas. Greetings from Sweden , You have a really nice site! Keeping your blog in favorites for almost a year) Props from Russia! Man, your blog is straight up visual abuse! Always ALWAYS a pleasure visiting it. Something I don’t actually do normally. So much content out there, yours just continues to pain my mind with awesome. Thank you. Keep it coming. for our visitors and our affiliates. Andy.Bauer – Resident Drifter/Blogger (his job is by far the most fun!). also be sent to these addresses. Thanks again for you time and consideration. This web really drives me crazy! greetings from Madrid, Spain. Your blog is nothing short of amazing, you live such an interesting life and you have an amazing eye for photography, allowing us to see and follow what you’re experiencing. Your blog is by far the best thing I’ve ever come across on the internet. Please continue to what you’re doing, I hope to visit Japan one day too. LOVE THE SITE JUST ONE THING can you add a gallery! On JDMST they have a picture from you its got a 180sx in tokyo city i really want to see more photos like that unfortunately i cant find it… 🙁 so perhaps you could leave a link at least? Could you give me an e-mail address to contact you for advertising opportunities?? Really nice blog. you do very nice pictures, what’s your camera model? I’m Frenche and my dream is to go to Japan, caus’ I love drifting, fixed gear bike etc. Thanks for this cool website and have fun ! I wish my blog was as original as yours. Keep up the great work brah. Alohas. ps. Peep my website whenever you have the chance. Only a selected few choose to prosper in a Nissan Primera. BUMBAIYOULEARN. Love the photos, went to japan this year but never got to do anything to do with cars. Will be making another trip for sure. love your pictures! i was wondering what kind of lens do you use for all your shots, at least what’s in ur arsenal when goin in the field? Good job, the pictures look so crisp! I love the grimy night photos as well. Keep up the great work, I envy you for getting to shoot these beautiful cars! Hey Casey, any news on when you might have some more stickers for sale? Keep up this excellent source of inspiration! Cheers from over the ditch. I have to admit, this is honestly the best car blog I’ve ever seen. It’s so much better than all the fanboy feeling sites with flashy colors, ads, and girls distracting the viewers from what the whole purpose of the site is. I enjoy those, but I come to shirtstuckedin.com and it feels like a dream and the simplistic layout is just perfect. I don’t know why it strikes such a good chord in me but man.. it does, haha. Love the site keep up the good work!! Casey, when are you going back to Japan? It looks like a mad trip. Shooting awesome cars, getting amongst the car scene there. Are there any major websites/forums you visit to see what’s happening there? Big fan of the blog . keep it up ! Hey man, we love the blog, and obviously your photography! We’re a new and up-coming website that is all about cars in general, whether they race, drift, or are strictly for show. Feel free to check us out at http://www.nethingcars.com . Looking forward to hearing back! Good luck in the future for both you, your website, and your photography! – Corey, Founder of Nething Cars. Great blog mate! I love it! hey casey, keep up the awesome work! I was wondering if you ended up getting my email or not, thanks! Hey Casey, huge fan of shirtstuckedin, your style, videos and of course shooting! have any more of the old style shirtstuckedin stickers available to purchase? Im buying a new daily 87 mazda 929 and need to rep it. Hey Jesse, thanks for your kind words! At the moment there are next to no stickers in stock however they will eventually be re-produced very soon! Where do i begin. I love your stuff. there are plenty of brilliant and talented people out there pointing lenses at incredible cars but what stands out for me is your style. i like following your blog and your portrayal of Japan is great, i cant wait to get over there myself. i was wondering, out of the thousands of photo’s you got in japan, did you snap any WRX wagons specifically the 2007 model. id be interested in seeing actual JDM one’s of these. Hey man I really enjoy your work! I’m a fellow photographer into cars and will be spending a week in Japan from august 28th through september 2nd! While I’m there are two events going on, both on the 1st. One is the d1SL at ebisu and the other an open track day at mobara! Will the journey from tokyo to ebisu be worth it? or should i just stay close (and cheaper) route to mobara? I just want to see drifting in japan and need help deciding! One buddy says ebisu isn’t worth it, but i mean ebisu is like the sickest place to watch drifting and its all you hear about so I think it would be legendary to say I’ve been to ebisu before! Thanks for any opinions, I’m trying to plan out the trip in japan! Too bad you couldn’t make your way out to the Ghetto Garage…much 86 and automobile <3 there. Greetings from Canada. This is Nik, we met at Circuit Soul in Van when you were over for a visit. So glad you, amongst many others, were able to make it and say hi. Heres my email so hit me up. Im looking forward to paying you a visit in Aus someday! Keep up the great work! hey buddy, I’m in japan at the moment (osaka) and want to check out some track days. doesn’t really matter where they are. would like some pointers of where to get some information if you could help? cheers dude! Hey Casey, I just thought you should know that anytime I want to change my desktop background, I only go to this blog and grab one of your awesome shots! I’m also a huge nineties fan, honestly should have grown up in Cali during the early nineties, wearing neon tanks and shorts, Converse Cons ERX 15s and skipping classes to surf while jamming out to Blink or something haha. I’m an avid nineties car lover, and recently fell in love with Classic Japanese cars, you know, old school Celicas, Fairlady Zs, Datsun 510s and old school Skylines. My current goal is to buy an old 1970 MG MGB GT, while a British car, I thought it’d be wicked cool to motor swap it with and RB26 or something, who has ever seen that?! No one that I know of. I hope to build a cliffside house/complex on the coast of Japan, but currently I am in school over here in the US and a soon to be United State’s Marine, so it will be a while from now until I have those kind of finances. I thought I’d share all of this with you because you seem to be living out the trackside dream I hope to acquire one day. Keep up the awesome work man! hey casey, keep up the awesome work! Hello! I really like your photography and was wondering how do you upload such crisp pictures on facebook? I did almost everything to get the best quality on facebook and all i could get was 2048px and save as .PNG. I wanted to upload something in smaller resolution like 960px which is perfect but can not find how. Upload more pictures! Can’t get enough eye candy. Could you please write an mail if we can use some of the pics for our header/backscreen of our homepage? Would love to see some grip racing cars and events as well as drifting. Love your blog and images. And this is what I consider awesome content. Maintain the good work. I stumbled across your profile on Instagram not too long ago and have been following ever since! 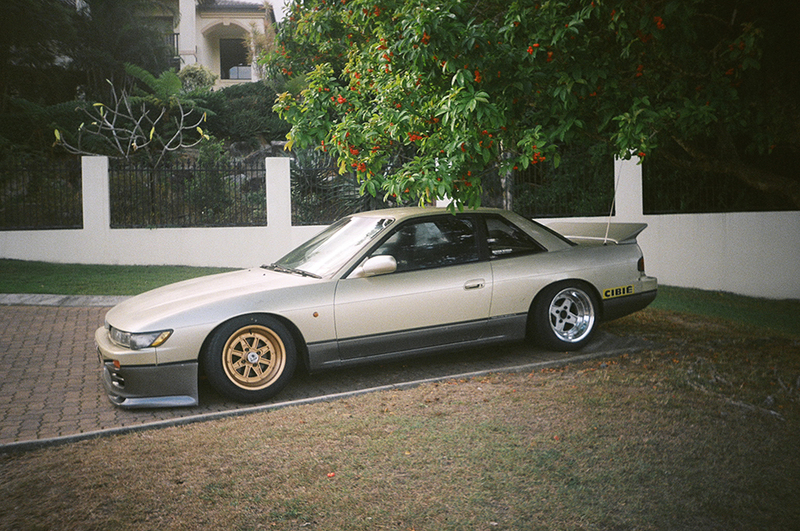 Your photos are so intriguing, and it only makes my love for Japanese car culture grow. I recently ordered a sticker and can’t wait to receive it and rep you over here in the States. Soon I will be attending my first year of college.. After my schooling I wish to visit Japan several times, and your content continues to drive me towards that goal. Excellent work my friend, keep it up! Hi I ordered a sticker almost two months ago and still haven’t seen it. I’d appreciate it if someone contacted me on the matter as it wasn’t a cheap sticker. That or I’d like a full refund. Please contact me. It is obvious that this specific blog post is one of the finest I’ve found today. It’s also obvious the individual who’s website this is put much work into it. Great work! hey casey awesome work, ive been follow you for a while.